Moe Norman was a ball-striking genius. Everyone who saw him hit balls were amazed. His set up, with his feet set wide apart, his extended arms, and his palm grip, generally fooled people into thinking they were watching a twenty handicapper. But when he struck the ball they realized they were witnessing something very special. There are those who have tried to teach what they deem to be Moe's method. And while good results are claimed, no one stands out in the golf world as a disciple of Moe. And, interestingly, Moe never suggested that anyone try to copy his swing. 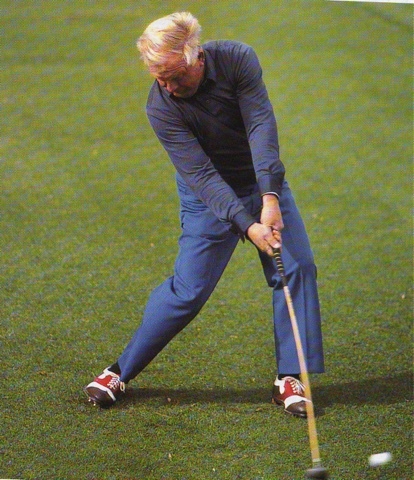 His swing was his own, refined over the years after hitting literally millions of golf balls. But Moe demonstrated something for us. It had little to do with his wide stance, or extended arms. But it did have to do with the manner in which he struck the ball. Moe believed his ability to hit laser-like shots, dead straight, time after time, was because he was able to keep his clubface square to the target for so long before and after impact. He practised hitting balls and clipping a coin set as much as sixteen inches past the ball on his target line. Managing to do this eliminated the possibility of him hitting it crooked. 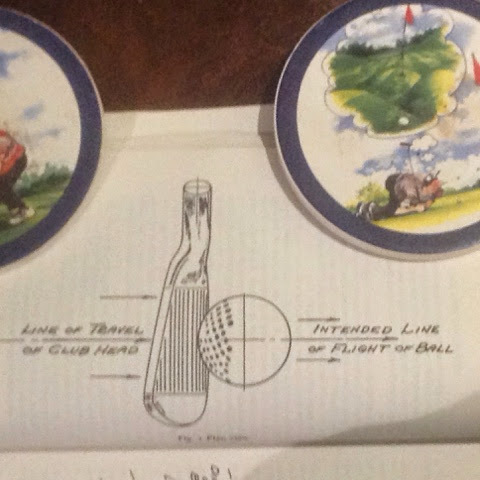 Another great ballstriker, Byron Nelson, had the clubface square to his target line 12 inches past impact. His secret was thinking about the back of his left hand going to his target. Byron admitted that this swing initially cost him some distance, as it did Moe, but both compensated for that by a incorporating a strong lateral drive with their legs. Bobby Jones believed that it wasn't necessary for the clubface to continue straight down the line for any appreciable distance after impact. And he was right. But he also admitted that he never struck the ball like Byron Nelson either. Bobby did, however, believe that focussing on the strike, rather than the swing, was the key to good golf. So, if you're confused about swing mechanics, or struggling with consistency and accuracy, why not forget about how you are swinging the club and start focussing on how you want the clubface to strike the ball. It can literally change your game overnight. If you aren't happy with your ballstriking, maybe try placing a coin on the ground six inches in front of your ball, directly on the target line, and think about clipping it with a square clubface. See what happens. You might just be surprised with the results.